Interactives should be an engaging part of any exhibition but for many museum professionals they are still seen as an addition rather than an integrated aspect of a gallery or display. None of us are strangers to the criticism interactives have received over the years being described as pointless push-button activities with few learning outcomes. But they can actually serve as successful and stimulating features if developed from concept stage in line with the key messages of an exhibition. In this sense, they should be integral aspects developed with other means of interpretation, because interactives are exactly that: an extension of your interpretation. And, most importantly, interactives don’t have to be digital. I’ll draw on two examples taken from my most recent projects to illustrate how low tech, but well researched interactives can work really well. 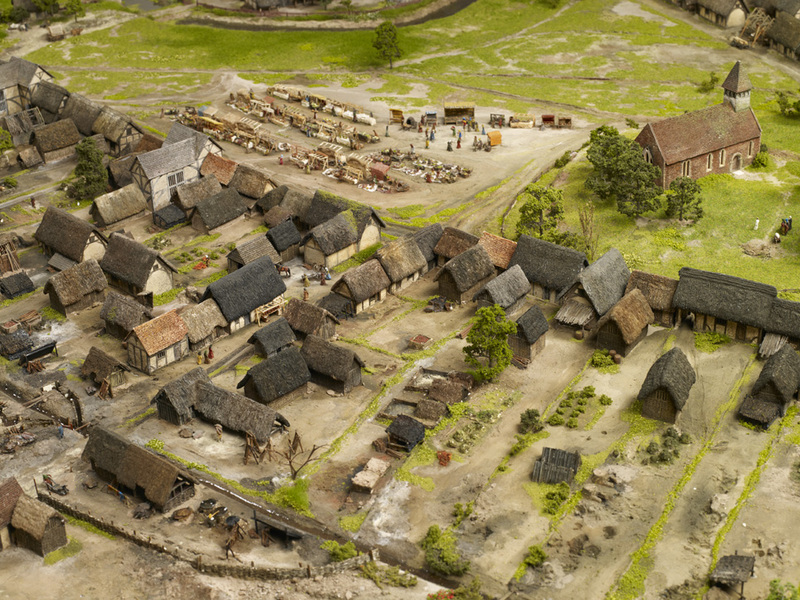 If you follow my activities on Twitter, you’ve no doubt noticed that I’m pretty fond of the scale model depicting the medieval town of Birmingham, developed as a feature of the new History Galleries at BMAG. The beauty of this interactive, for me, is that it isn’t too sophisticated in terms of digital activity. In fact, the most high-tech features are the push-buttons positioned around the model which trigger lights, thereby illuminating characters in the town. Moreover this interactivity doesn’t predetermine your response. Yes, it guides your eye to a particular feature if you choose to press the button, but your reaction to that feature is entirely personal. The interactivity here encourages discovery rather than prescriptive learning. The model is certainly interactive in the traditional sense of the word, insofar as it stimulates discussions between groups of people as they point to features or discuss topics inspired by observing. 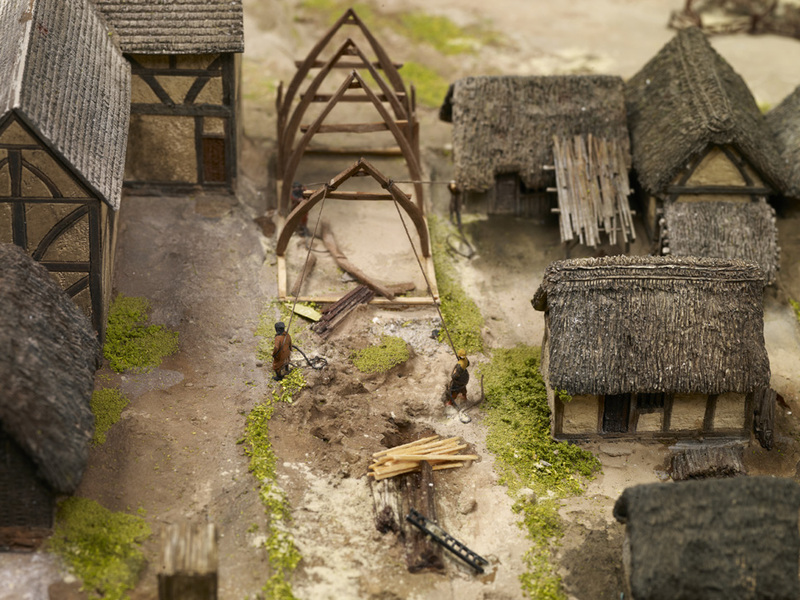 The interactive is based on current archaeological and documentary evidence and it’s this research which makes this particular interactive, interactive! The sheer attention to detail sparks discussions and inspires curiosities and interests. But, in case this doesn’t satisfy the more technical heads and those who don’t view this as a fully-fledged interactive, let me draw on one last example. By far my favourite interactive in the We Made It exhibition at Thinktank is the Woolrich Generator exhibit, which sits in the Treasure section. Again, it’s not digital, but instead relies on a very clever pepper’s ghost effect. As the visitor continuously winds a handle round to ‘generate’ electricity, the pepper’s ghost creates the illusion of a dull-grey trophy being gradually plated in silver. 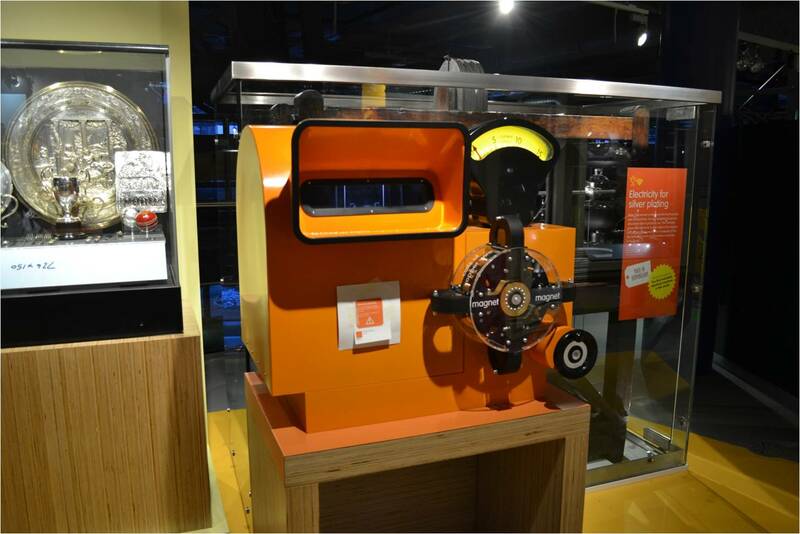 Obviously, there’s more to the science of electroplating, but this interactive conveys a very technical concept in a very straight-forward fashion by inviting the visitor to learn through interactivity. One of the many things that I’ve taken from my time working on the Birmingham History Galleries and We Made It is not to become too fixated on interactives having to be superiorly digital, ‘flashy’ and high tech. They can certainly be all of those things providing they do the fundamental thing that all interactives should do: enable visitors to engage by participating, therefore offering an avenue for stealth learning and understanding. Last but not least, incorporate interactives in to a display because they help you interpret your themes and messages, and not because you think you have to. This will lead to far superior and successful interactive and multimedia elements.